I think it’s safe to say that Christmas is not just approaching; its presence is everywhere we turn already. The retail giants have released their blockbuster movies masquerading as commercials, the Coca-cola truck has hit the road, and the weekly shop is spent trying to dodge the ‘seasonal products’ aisle for a little longer whilst trying to ignore the annual assault on our ears courtesy of Noddy Holder and friends. So it’s little wonder that the youngsters are getting suitably hyperactive and counting down the sleeps even before the first door on the advent calendar is opened. It’s definitely too late for distraction techniques, therefore it must be time to embrace it. Fortunately Christmas lends itself to plenty of activities to keep them occupied, from crafts and card making, which require little more than a good supply of cotton wool balls and glitter, to making simple Christmas cookies to decorate. Call me old fashioned but a traditional paper chain is still a lovely decoration whilst being simple to make (you can buy ready made paper strips so cheaply these days) and of course there’s the letter to Santa to be written. Get them decorating paper plates for Santa’s mince pie and Rudolph’s carrots and make reindeer food from dried oats and glitter (so they can see it in the dark!) to sprinkle around the house on Christmas Eve. And to really get everybody in a festive mood, nothing beats a magical Christmas show. 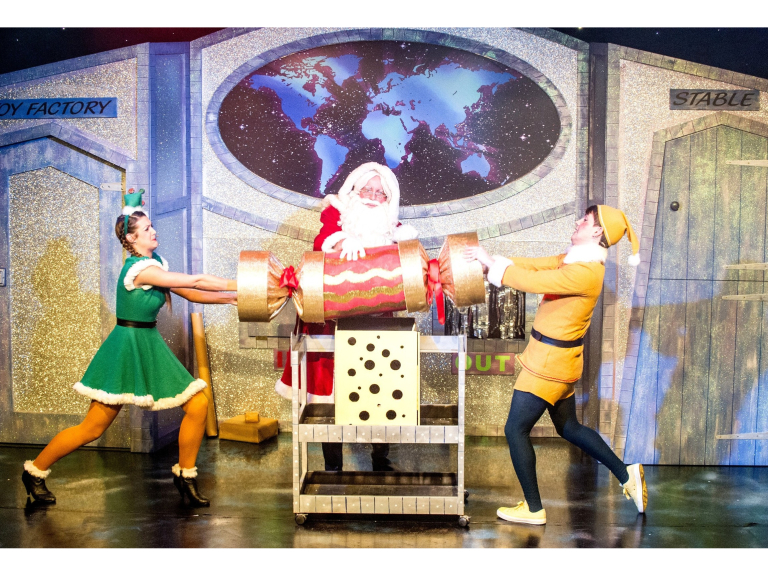 From Saturday 29th November Santa Claus and the Christmas Adventure will be playing at Watford Colosseum right up until Christmas Eve. 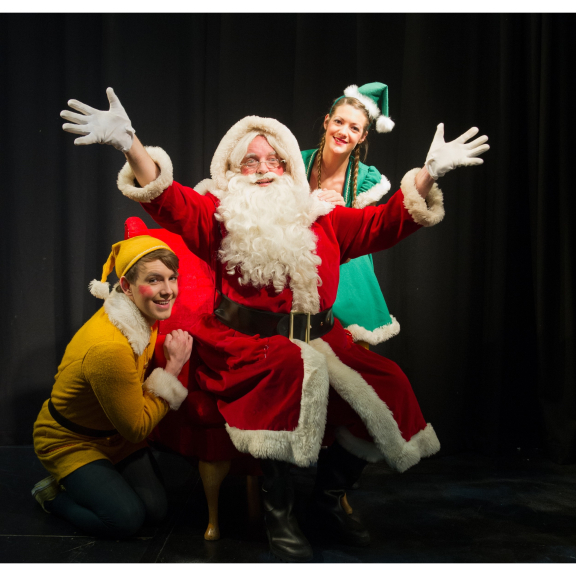 A show full of songs, nursery rhymes and magical tales which sees Santa all ready to head off on Christmas Eve delivering presents to all the good boys and girls. But stowaway elves, a satnav gone awry and Rudolph gone missing could spell disaster as Christmas morning approaches. Will the children get their presents in time, can Santa, those mischievous elves and Muffin the bear work together to save Christmas? Children will be spellbound by this delightful tale, and even more so when as if by magic, snowflakes gently fall over the audience, guaranteeing a white Christmas at every performance. This show will enchant all ages from two years to 92! As an extra treat all the good girls and boys will get to meet Santa after the show and receive a special gift. A perfect antidote to the electronic age, and the commercialism which threatens to dull the shine of a traditional Christmas, children can experience the theatre at its best. Tickets are on sale now priced from £10-£15.50 (Family ticket £48.50). The show runs from 29th November to the 24th December at Watford Colosseum, Rickmansworth Road, Watford, WD17 3JN.